Dresses are an easy way to update your look for spring. It’s just one piece that can be styled in any different ways. A black dress like this one is perfect. The floral and sheer detailing give it a spring vibe while the black keeps it chic. You can wear this with sneakers or flats for a casual look or with heels for a night out. 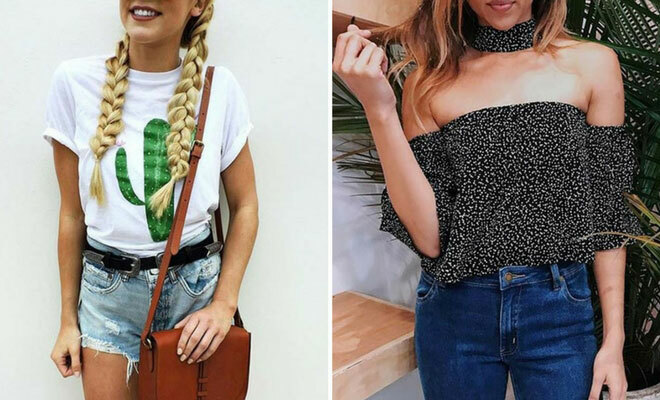 Dresses like these are staple items you will wear again and again. A vest is a trendy piece of tailoring that is a must have spring trend. Just because it is tailored doesn’t mean you can create a cool and casual outfit. Take inspiration from this outfit and wear with a vest, funky necklace and jeans. You’ll be good to go. If pretty flowers aren’t your thing, then take a look at this outfit. 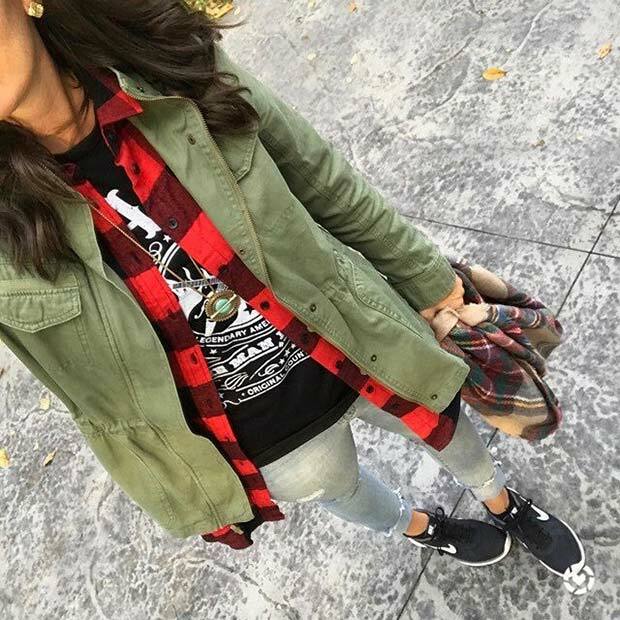 The layers of a cool t-shirt with a grungy plaid shirt and khaki jacket work together to create a cool vibe. The rolled-up jeans and sneakers keep it casual and relaxed. This look is light and edgy perfect for spring. Pink is available in so many beautiful and vibrant shades making it a spring favourite. A vest like this is a perfect way to wear pink. It’s cute, trendy and can be worn with anything. Wear with shorts like this or wear with ripped jeans. T-shirts with a band logo are the perfect way to look stylish while showing off your taste in music. You could wear any logo but a very popular one is the Rolling Stones. Wear your t-shirt with ripped jeans to add some rock and roll to your spring look. Ripped jeans will give your spring outfits a little edge. All the lacy tops and pretty shoes can have a stylish update with a pair of jeans like these. Wear ripped jeans when you want to look cool and trendy. Leather jackets are timeless. No matter what you wearing a jacket like this will instantly up your style game. We love this outfit because the light trousers and sneakers soften up the jacket. Making it look feminine and light, perfect for this time of year. 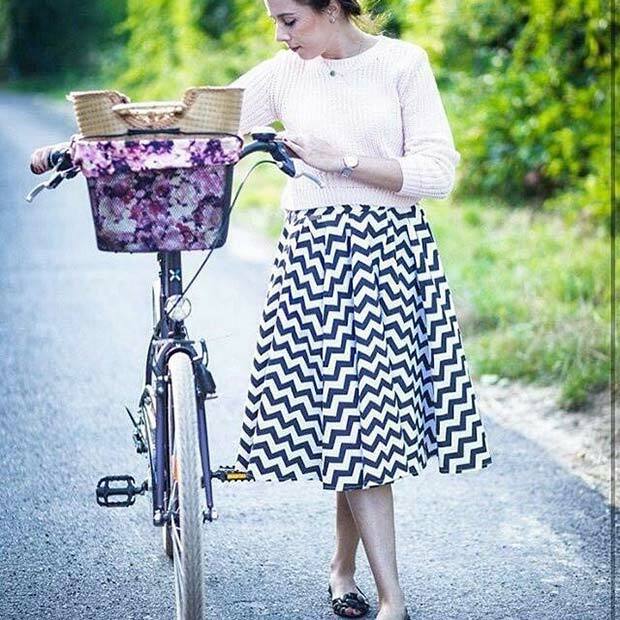 Skirts are a great spring choice! These are bright, light and look cute for any occasion. Relax your look with flat shoes and sweater like this outfit. It is a beautiful style. You could choose any skirt, style, color or print. The styling possibilities are endless, so just have fun with your choices and enjoy the nice weather. Nothing says cool and causal like ripped jeans and t-shirt with rolled up sleeves. As this is a simple outfit you could jazz it up with jewelry and accessories or just keep it minimal. The choice is yours. Wear with sneakers, flats or sandals to keep your outfit relaxed. 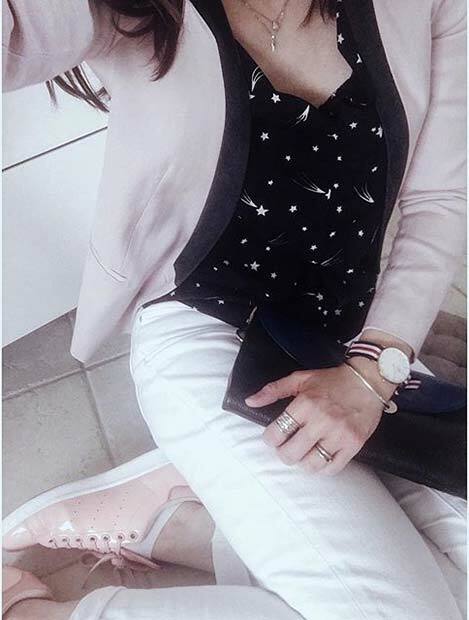 A light blazer and sneakers is a great way to look chic and causal this season. A blouse and white pants are great for spring. You could choose any print or color for the blouse. Blue denim jeans would look great to. Boho is back! The bohemian trend is a must have and is so easy to wear. 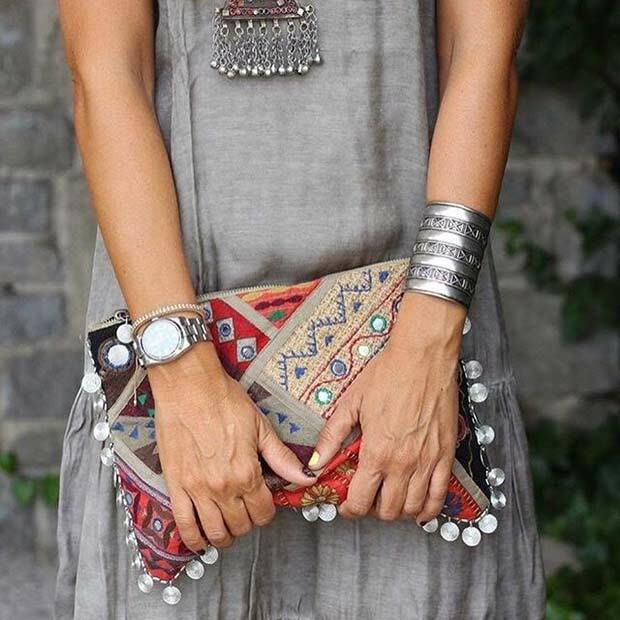 This outfit is just a simple grey dress, with jewelry and a funky bag. Statement jewelry and a printed bag like this will create a gorgeous spring outfit for any boho babe. We love these looks and hope you do to!